57-57. Happy 57th Independence Day to Malaysia! It’s 57-57 (double 57) for the celebration of the anniversary of our country’s independence this year. We first achieved independence on 31st August 1957. And today, it is 31st August 2014….2014 minus 1957….so it’s Malaysia’s 57th independence day. It’s very symbolic in number this year but the scale of the celebration has to be toned down as a mark of respect to the two recent tragedies that struck Malaysia Airlines planes; the MH370 and MH17 incidents. This year, there isn’t any official government-organized countdown events and pyrotechnics display at the midnight of Merdeka’s eve when clock ticks at 12.00 am. So, there wouldn’t be any fireworks from Dataran Merdeka or KLCC. And I guess other privately-organized Merdeka events would also be either scaled down or cancelled. Hmmm….no festive atmosphere or any loud ‘bangs’ heard just now. But our spirit of patriotism and loving the country should never fades. But there are just so many bad stuff that made us not to love the country so much. Right?…you know LA….But no matter how much we dislike the country, we are still a true Malaysian…someone who couldn’t get away from typical Malaysian lifestyle. And I like it the way it is. Anyway, in conjunction with the Independence Day celebration, there were many meaningful and touching Merdeka-themed advertisements made by some local companies as usual every year. These ads were usually highlighting on the peace, harmony and unity we had despite having many different races in a single nation. There are also some individually-made videos available in YouTube which shown personal creativity on sending their message and love to the country by showing the uniqueness of Malaysia from its people, places, cultures, food, etc. There you go below for some of this year’s Merdeka-themed clips or advertisements that I find interesting and meaningful. The National Day parade in the morning is going to be carried out too along Dataran Merdeka stretch. The only official Independence Day’s event maintained this year. I have heard many helicopters flying the past few days which indicates that they were practising for rehearsal for the parade. But I won’t pay much attention to this parade every year as it was just simply boring. And many Malaysians are happy of this Independence Day celebration every year just because that it gives us another public holiday. Yes…and this year, it falls on Sunday. So, the next Monday would be the replacement holiday. Wonderful. A longer weekend to enjoy, which is also the weekend that saw the end of August and the arrival of September. 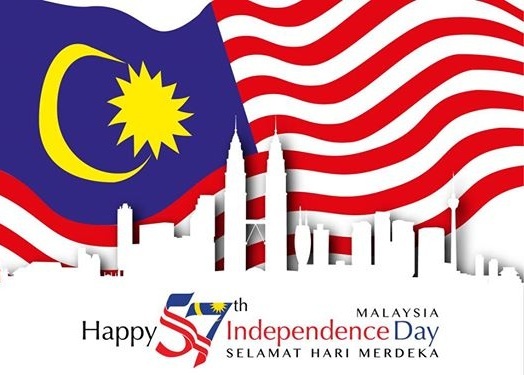 Last but not least, I would like to wish all Malaysians a Happy 57th Independence Day to our beloved country, Malaysia! 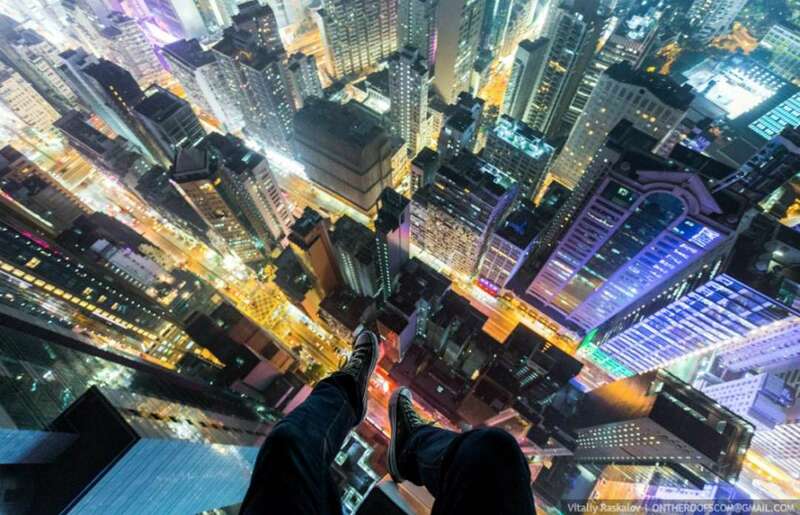 Some breathtaking sky-high photos by urban climbers. Felt like fainting just by looking at these images. Ahh…What a great Saturday morning. Bright sun and relaxing day. And the happiest thing is that this weekend will be one day longer, thanks to the Merdeka Day this Sunday that will have Monday as a replacement holiday. 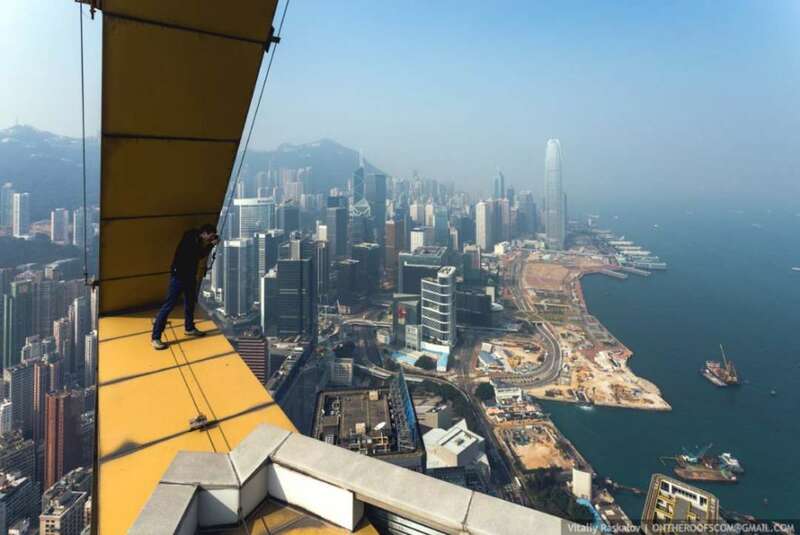 As usual, time to check out my Facebook and saw some of my friends there sharing an article from Architizer which shows many sky-high photos captured by daring urban climbers. 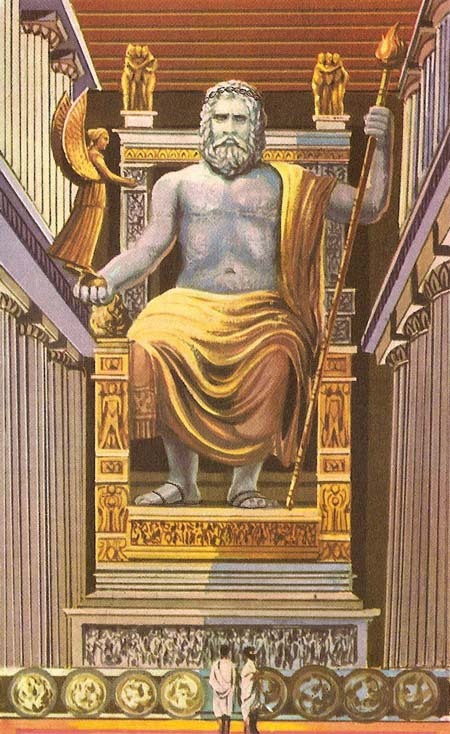 Thought that was interesting and hence, took the opportunity to share it here in my blog too. 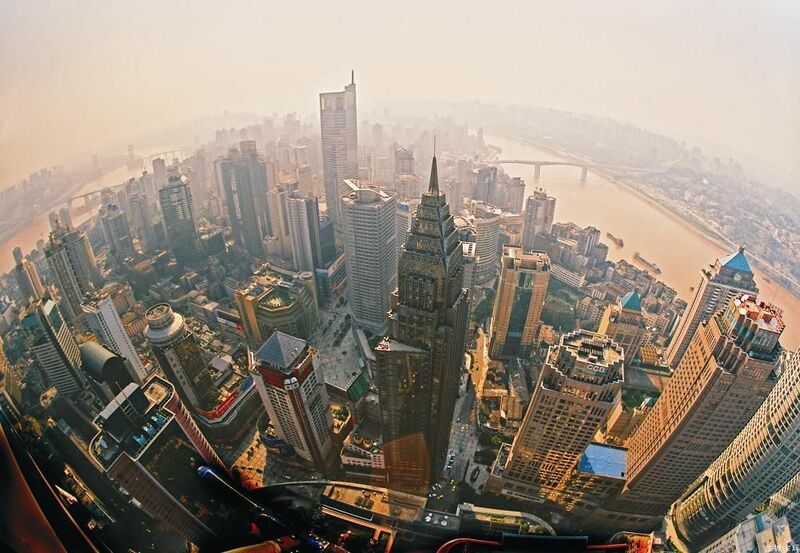 Two images below taken on top of the under-construction Shanghai Tower. 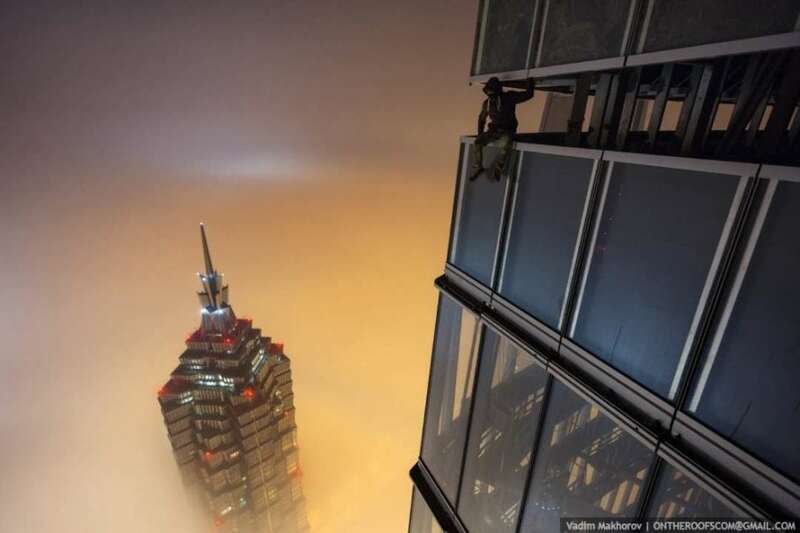 The climber was roughly at about 600 metres above ground, while they can see the nearby supertall Shanghai World Financial Center (492 metres) and Jin Mao Tower (421 metres) below him. Crazy acts, but the sights are worth it. But still too dangerous. 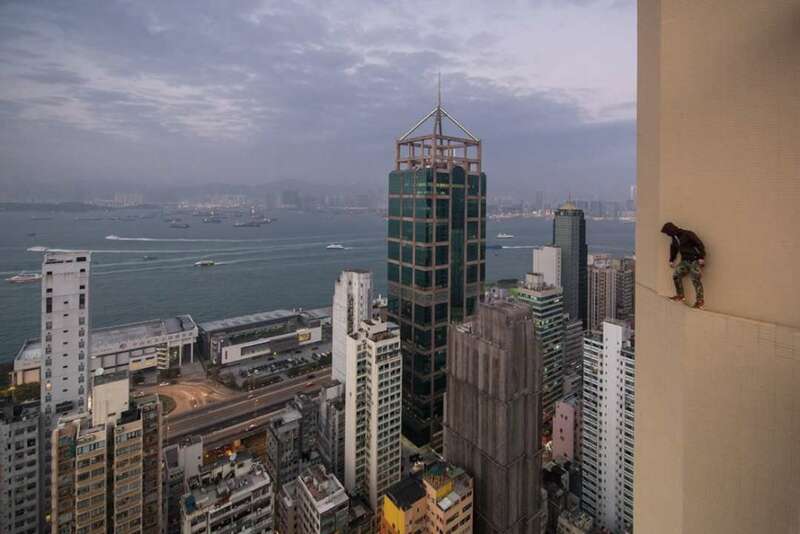 Next are two images taken to show the impressive density of buildings and only a partial skyline of Hong Kong. I wouldn’t dare to sit like him (in the first image below) and still felt so relaxed for a shot. I guess the third image below was taken somewhere at the top part of Central Plaza tower. The following two images were at Dubai. Too bad, there isn’t any picture taken from the very tip of the Burj Khalifa, the world’s tallest man-made structure at 828 metres. But anyway, I have seen many others did managed to climb to the top of the building’s pinnacle and saw their shots somewhere else. Just not from Architizer’s site, the source where I shared these images. If you wish to check that out (for a shot 828 metres above ground looking below), you can easily ‘google’ it. Last image below is something I didn’t expect could be done. 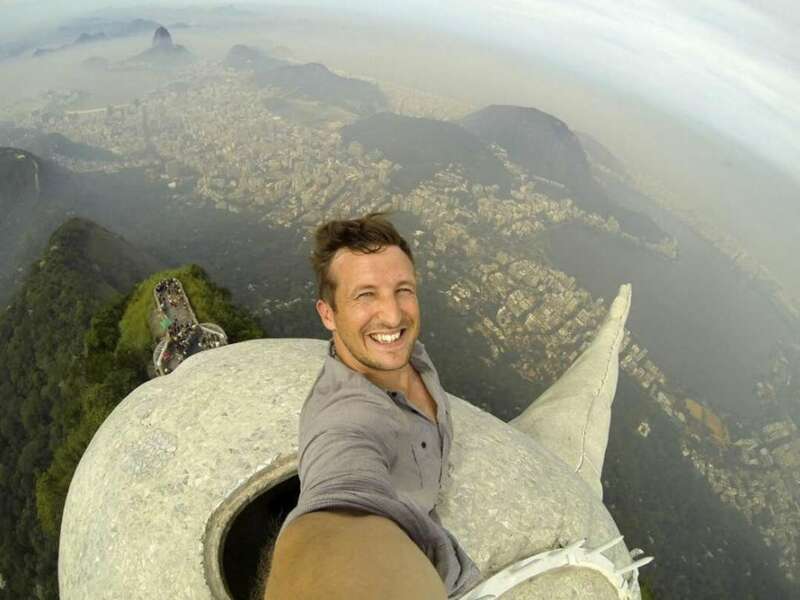 This guy literally went inside through the head of Christ the Redeemer Statue at Rio de Janeiro, Brazil and then reach to the top of the head. I didn’t know that’s possible. The statue itself is already on top of a hill overlooking the beautiful city. Not many have that kind of bold and daring attitude to perform these stunts especially the ones whom were just sitting or standing on the edge of a tall buildings looking down below. Some called them mad or crazy, but they were the ones providing these breathtaking images for us to see. 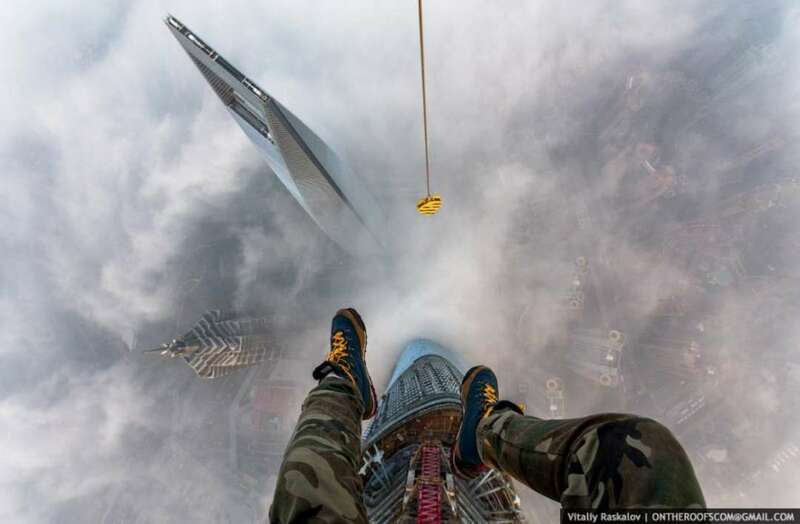 Selfie on a dangerous sky-high position. What’s more awesome than that? 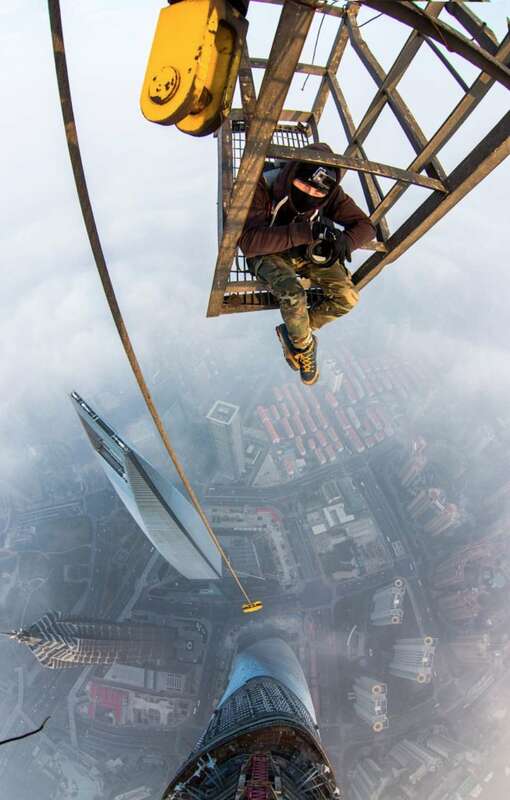 (Images in this post are from this source: http://architizer.com/blog/dont-look-down-21-sky-high-photos-captured-by-urban-climbers/. More photos from the source too). 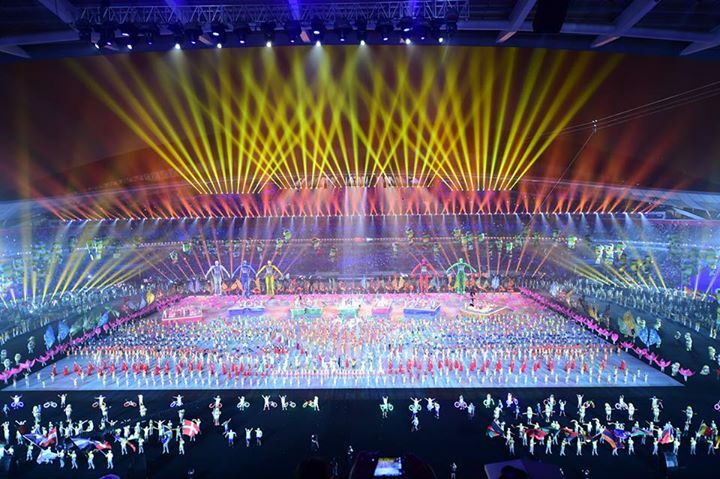 Nanjing 2014 concluded with a good but short closing ceremony. 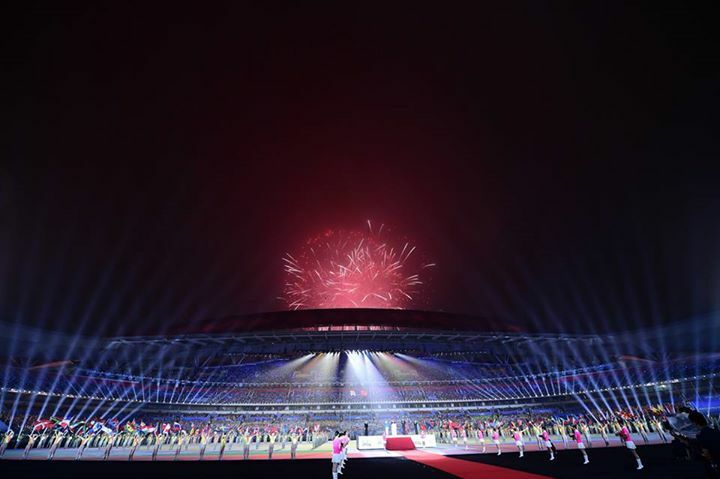 The 2nd Summer Youth Olympic Games, Nanjing 2014 ended yesterday with a splendid closing ceremony at Nanjing Olympic Sports Center, and was attended by Li Keqiang, the Premier of People’s Republic of China and Thomas Bach, the President of International Olympic Committee, together with over 60 000 people in the stadium. After 12 days of competition from youth athletes from over 204 countries and territories, the games finally closed but the Olympic movement goes on and gets even stronger. 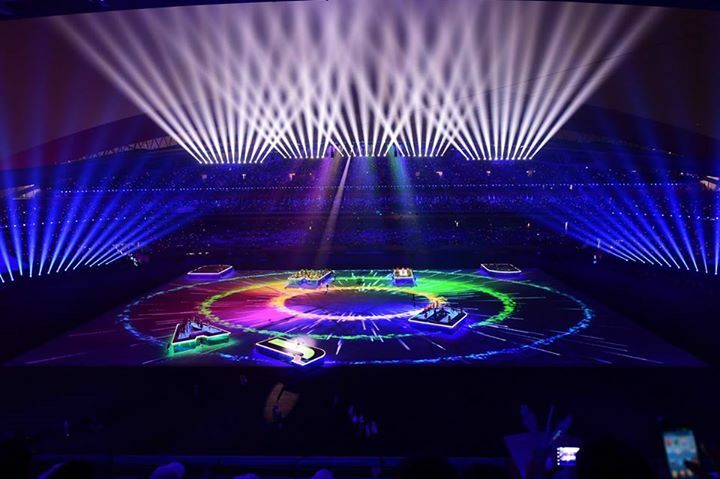 Similar to the way of watching its opening ceremony two weeks ago, it was just so easy to click onto the official Online TV website of Nanjing 2014: http://nanjing.ovp.olympic.tv/ to watch its closing ceremony. Convenient and free of charge. The closing ceremony was quite a short one, taking less than two hours. Deducting all the usual ceremony’s protocols at the first half of the show (arrival of participating national flags, speeches, playing of national anthems and raising of flags, etc), the performances took the last half of the ceremony. And the unfortunate thing occurred during the ceremony was the downpour again. The weather isn’t helping at Nanjing 2014 at its most important times as it was too raining during its opening ceremony two weeks ago. But that didn’t dampen the spirit of the performers and the audiences. The energy was high…I can sense it from the 60 000 strong crowd in the stadium and also from the thousands of volunteers and performers. 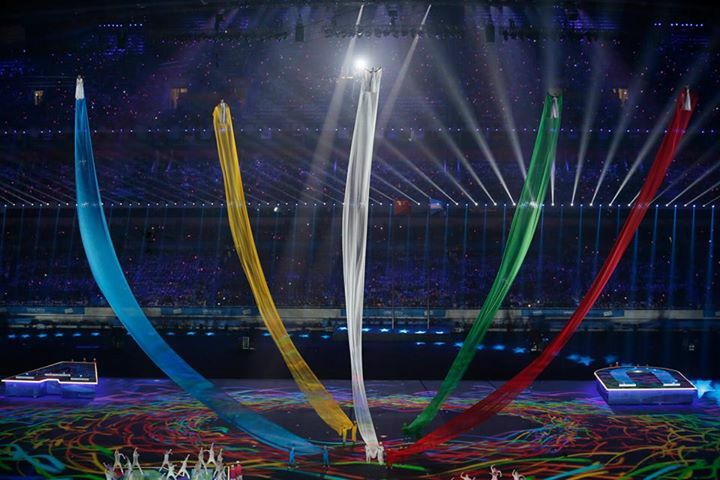 The performances in the closing ceremony were scaled down back with lesser dramatic or jaw-dropping moments. However, the quality, synchronization and the way each performance segments delivered were still brilliant and amazing. Simple yet colourful, with big thanks to the beautiful animated light projections. The part that I liked the most would be the performance of different type of dances distinctive to various parts of the world. 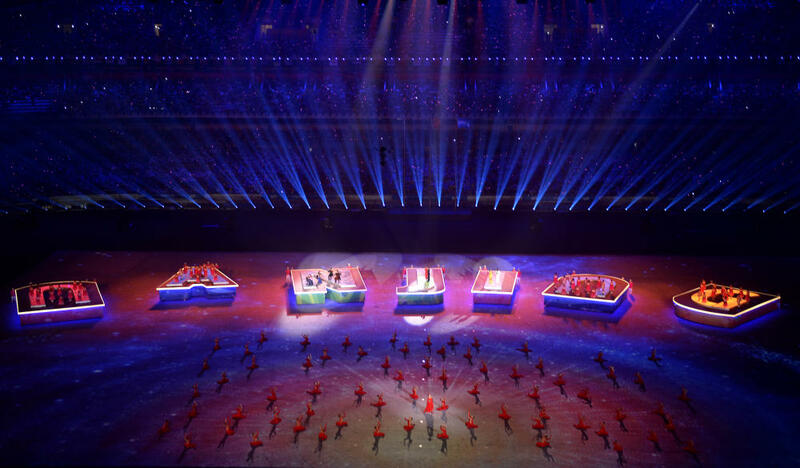 It reminded us that this is not only the games to show-off China as the host, but also the event to unite and symbolize the world. Every continents do take part in this games. And that is why this is Olympic Games (youth version). The ceremony ended with a poignant feel as the huge Olympic flame on top of the stadium was extinguished, signaling the official end of the games. And wait…there isn’t much fireworks again, just like its opening ceremony. For that, I’m disappointed again. They should send it off with a massive ‘bang’ but anyway, they still presented a good closing ceremony (better than the West). My country, Malaysia is doing quite well in Nanjing 2014. In official medal tally, my country scored 1 silver and 1 bronze. But Malaysia actually obtained 1 gold, 2 silver and 1 bronze in total as the extra 1 gold and the 1 silver are from Malaysian athlete teaming up with athlete of other nation and compete under Mixed NOC (National Olympic Committee) flag. 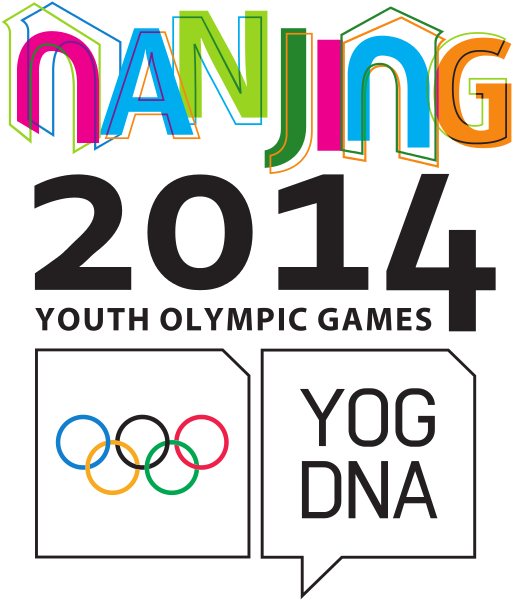 This mixed-team is only allowed at Youth Olympic Games, not in Olympic Games. Goodbye Nanjing 2014. Four years later, it would be time for Buenos Aires 2018, the 3rd Summer Youth Olympic Games. And the ambassador to that is none other than Lionel Messi, the highly popular football player from Argentina. So…Nanjing 2014 ended. But wait…sporting events this year seem like not stopping. 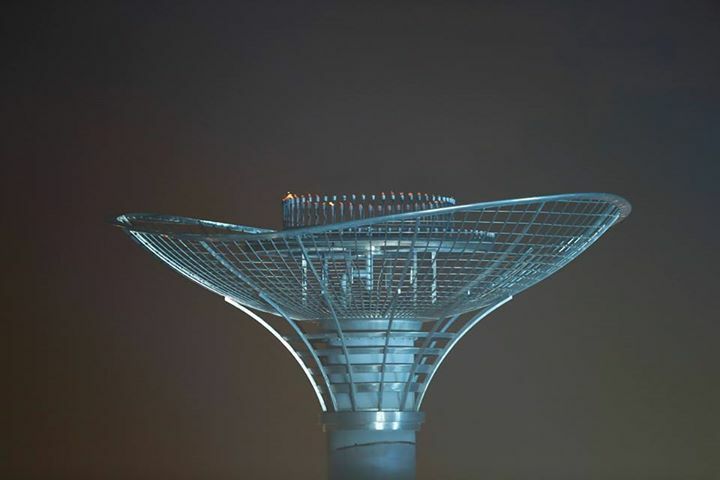 Next month, we would have Incheon 2014 Asian Games. 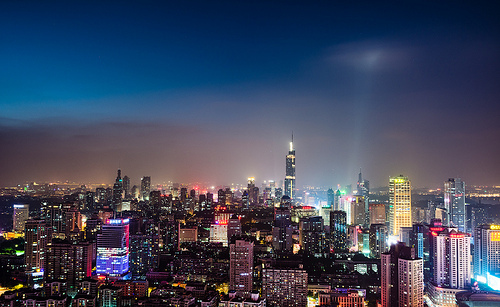 Skylines of many not-so-popular Chinese cities that will take your breath away too. Once I mentioned about skylines, many of you would have thought of those popular big cities that are no doubt boosting some of the world’s best-looking skylines like Hong Kong, New York, Chicago, etc. 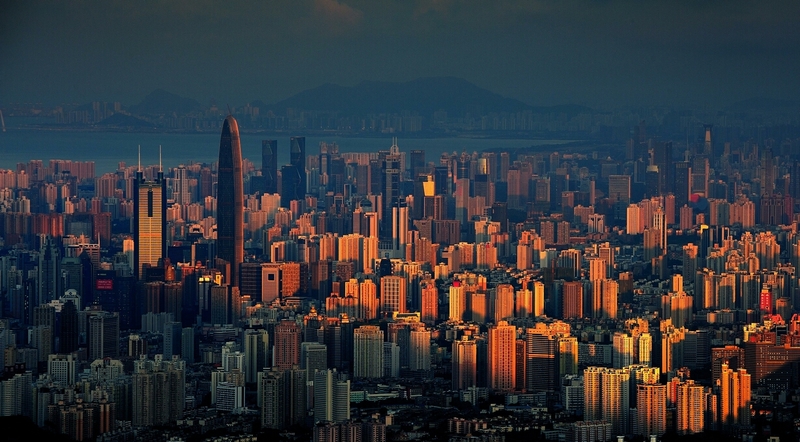 In fact, China alone is doing great in terms of its skylines found in some of the highly-populated Chinese cities. 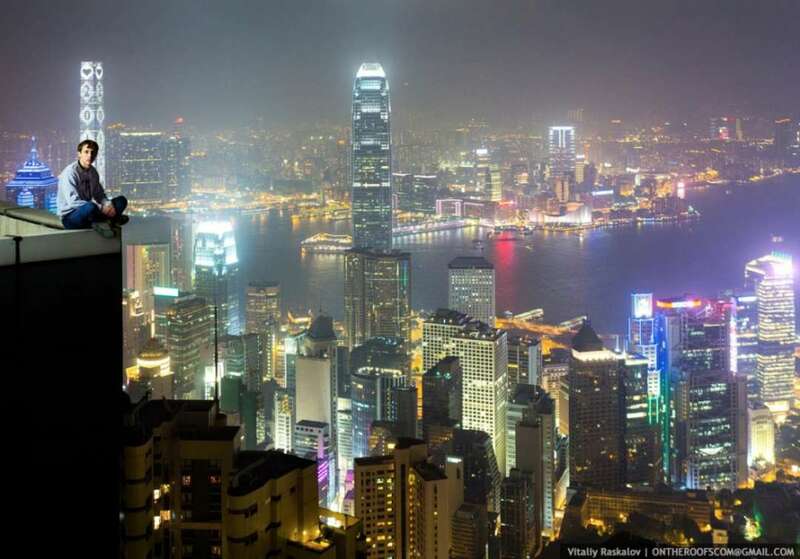 The first in your mind must be Hong Kong, which many claimed that the city is ranked No.1 in the world when you are comparing the city skylines. My city, Kuala Lumpur also looks great for its skylines, thanks mostly to the iconic Petronas Twin Towers, but if you compare it to Hong Kong, KL is so far behind. I have visited Hong Kong once few years ago and I’m truly impressed by the density, and the tallness of every little buildings in this small island-territories. Wonderful scenery with picturesque backdrop of hills beautified with impressive lighting of buildings at night. 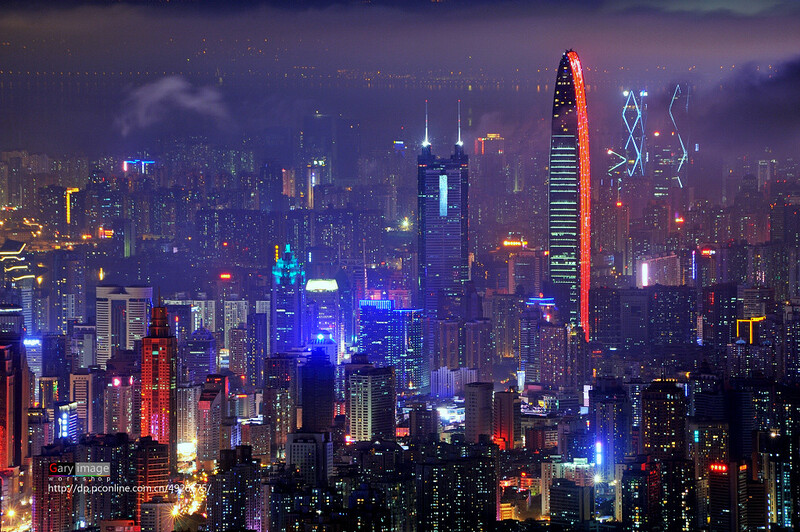 No doubt it is No.1 in the world in terms of skylines. 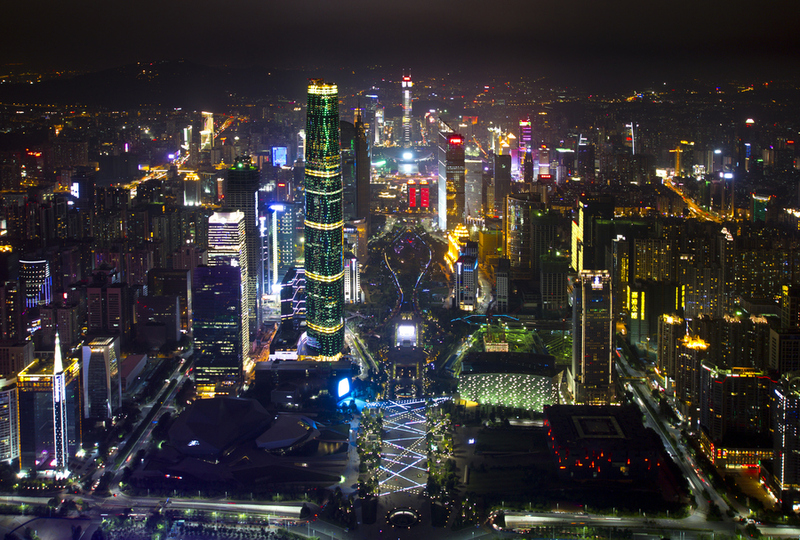 Next in China would be Shanghai, another mega-city but with beautifully-planned and organized areas for skyscrapers particularly the iconic Pudong district that is home to three of the city’s tallest buildings. Won’t explain any further on these two cities as you must have known and seen many pictures of Hong Kong and Shanghai before too, right? My highlight of this post is on the other not so known Chinese cities that you will be awed once you look at their skylines too. These cities will surprised you. Next is Shenzhen. I have visited this city in my same trip to Hong Kong few years ago. That time I was thinking; ‘What is Shenzhen? I have never heard of that place before. Is it a town or a village? Must be under-developed.’ Once I step my foot onto the city for the first time, I was all wrong and stunned. Highrises everywhere with wide roads, busy and crowded streets, advanced infrastructures and public transportation, etc. Huh…Current tallest building in the city is Kingkey Finance Center Plaza that stood at 442 metres. 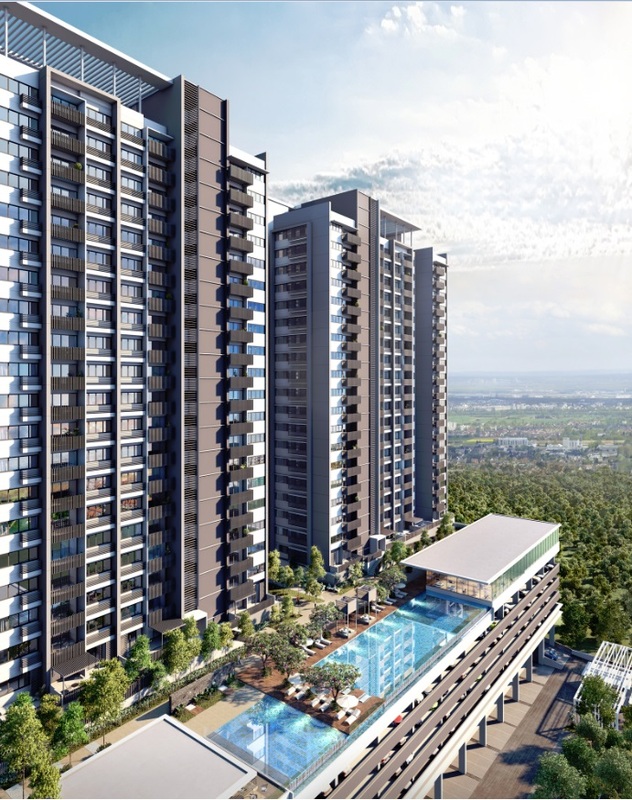 The building won’t hold the title for long too as a project is also underway to build a 660 metres tall Pingan Finance Centre building. Crazy height…China loves to build supertalls in recent years. The fourth and last on my list would be Nanjing. 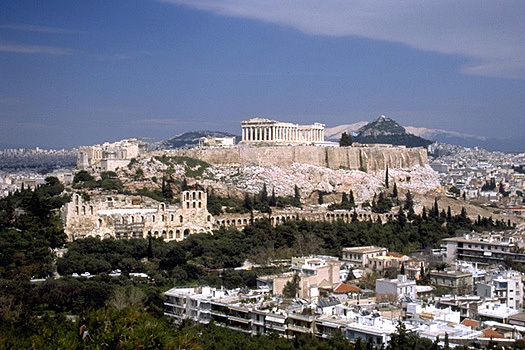 This city is particularly famous now because it is currently hosting the 2014 Summer Youth Olympic Games. 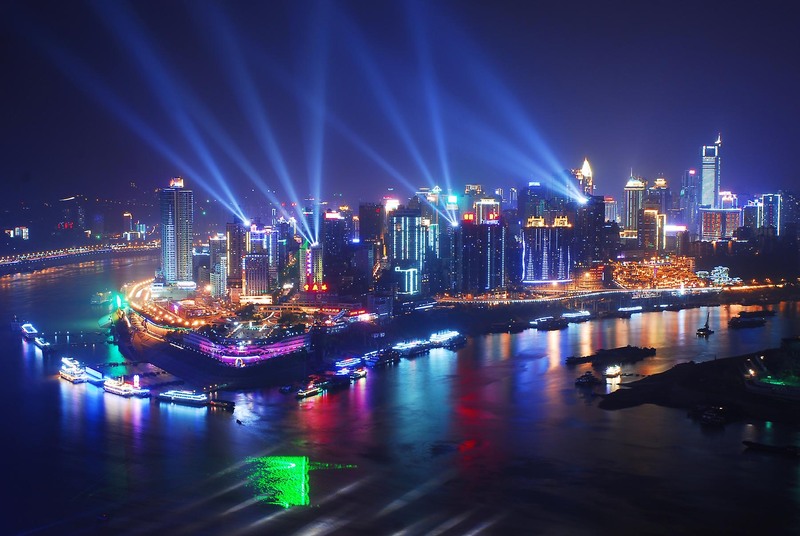 This games let the world knows of this city’s existence and since then, its popularity rises just like Guangzhou. 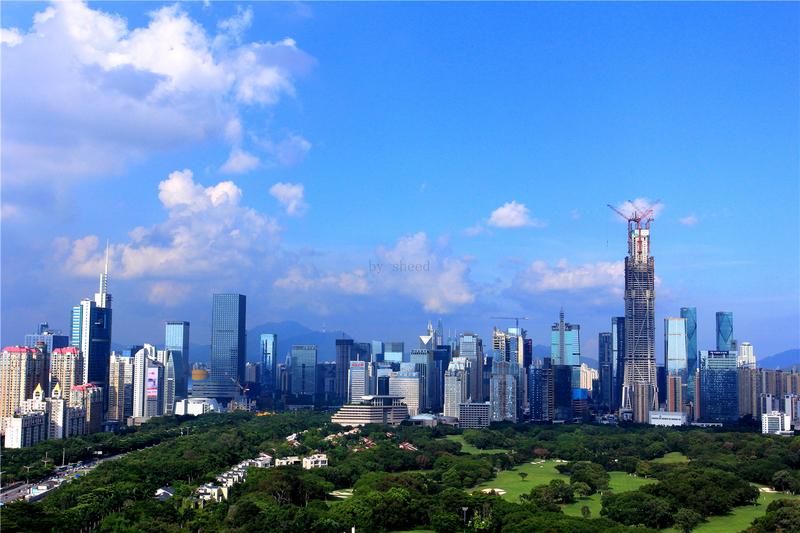 The city’s current tallest building is the 450 metres high Nanjing Greenland Finance Centre. Breathtaking skylines, right? Remember, these are not from Hong Kong or Shanghai. These are only from Shenzhen, Guangzhou, Chongqing and Nanjing. 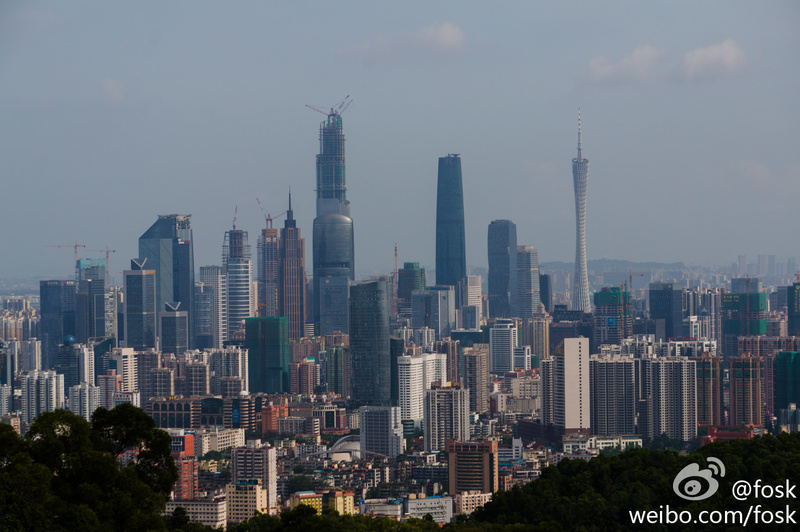 They are just secondary Chinese cities but are already presenting awesome skylines that could even compete with major cities across the world like Singapore, Tokyo, Kuala Lumpur, Seoul, Bangkok, Toronto, Sydney, etc. What’s more trendy now than the superbly popular Ice Bucket Challenge? If you didn’t know about this thing, then I guess you must be someone fully disconnected to the outside world. 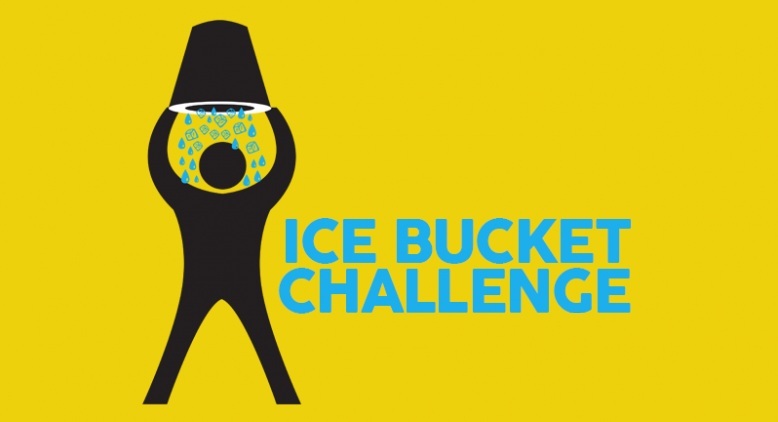 Also known as ALS Ice Bucket Challenge, it is an activity involving dumping a bucket of ice water on someone’s head to promote awareness of the disease amyotrophic lateral sclerosis (ALS) and encourage donations to research. 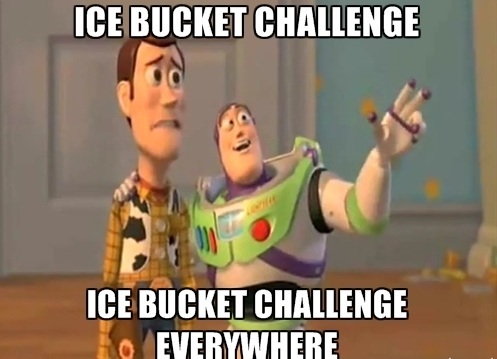 The challenge dares nominated participants to be filmed having a bucket of ice water poured on their heads and challenging others to do the same. A common stipulation is that nominated people have 24 hours to comply or forfeit by way of a charitable financial donation. The challenge went viral through social media and had since became a pop culture phenomenon from mid-2014. Many celebrities, athletes, entrepreneurs and even politicians across the world participated into the event. They include Ben Affleck, Jessica Alba, Jack Black, Tom Cruise, Leonardo di Caprio, Vin Diesel, Robert Downey Jr., James Franco, Tom Hiddleston, Anne Hathaway, Hugh Jackman, Nicole Kidman, Steven Spielberg, Bill Gates, Mark Zuckerberg, Justin Bieber, Miley Cyrus, Lady Gaga, etc. A lot more. Asian celebrities whom also took part were Andy Lau, Jay Chou, Nicholas Tse, Joey Yung, Nick Cheung, etc. Recently, I see countless of Facebook posts sharing how the celebrities or even some of my Facebook friends performing the challenge themselves after being nominated. The objective to create awareness for the ALS disease is good. It is for good cause. However, I find that the way of doing it isn’t quite right. For me, it is a waste of water. Furthermore, if you are genuinely helpful to donate to a charity, you don’t need to tell everyone that you are doing so. And I believe some of the participants only took up the challenge just for fun, and also to show to everyone that they are ‘updated’ to the trend, without donating anything to the ALS Foundation. That’s just not right. And I guess many didn’t even know what ALS is. Due to its unbelievable popularity across the world now, the Ice Bucket Challenge also received a lot of criticisms with some celebrities informing that they will not perform the act eventhough they had been nominated by others. The reasons; similar to what I have said just now. Besides that, there is a source claiming that most of the donations given to ALS Foundation didn’t go directly for research or other much needed categories that require more attention and funding. Instead, most of the money goes to somewhere else or even for somebody’s pockets. There is still no truth to this claim but yea…you can actually donate to many other charitable foundations too…to the one you trust the most, and not necessarily the one that got the most attention now. Like me…I would not do this Ice Bucket Challenge, but I would still donate to charity. Black Heart White Soul (2014), one of TVB finest series in recent years. ‘忠奸人’ (Black Heart White Soul) is a 2014 TVB modern thriller series of 30 episodes. 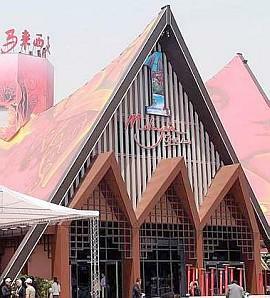 It starred Roger Kwok, Krystal Tin, Ron Ng, Kiki Sheung, Waise Lee, Louis Cheung, etc. At first, I didn’t plan to watch this series. When it aired its first twenty episodes, I’m still concentrating on another series named ‘Ghost Dragon of Cold Mountain’. Once I finished that series and had nothing else to watch, I immediately switched over to this after hearing many positive feedbacks for the series. And it really turned out great. There was a time I had to catch up to its latest episodes and so I have to watch like more than five episodes per day. It is just so interesting. The script for this series is by far among the best I have seen in TVB dramas in recent years. 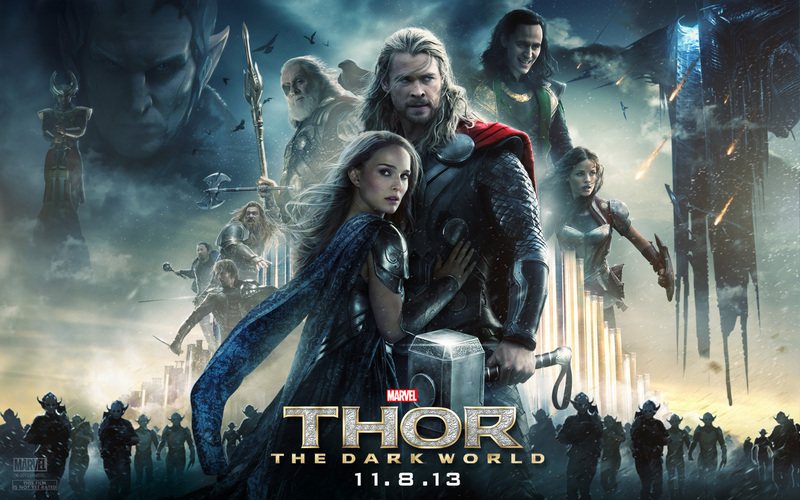 Brilliant plot and fantastic storytelling. The way the story builds up with more complicated sides is interesting while at the same time not confusing. It makes you get intense and excited for almost every episodes as the story progresses. You tend to feel curious of where this or that leads to and that is a good thing for a drama. Story development went well and not draggy all along too. Plenty of powerful scenes to get you thrilled too especially the parts where evil plan surfaced. This is my first time seeing Roger Kwok taking on a villain role. He had previously praised for his villain role in 2008’s ‘Last One Standing’ but I didn’t watch that drama. He did a very good job in this series. He did those expressions like evil smirk or scheming eyes very well. However, I still couldn’t say that his performance here is outstanding. Just very good. His ‘split-personality’ character (hence the series’ title) is very strong and I considered Roger to have nailed this role too. Ron Ng had been previously criticized for having only average acting quality and had since been pushed to second lead or even supporting roles. Here, he shined again as ‘Funny Sir’ (reminded me of Raymond Lam as ‘Happy Sir’ in 2012’s ‘Highs and Lows’). His scenes especially in the last few episodes marked his breakthrough. Krystal Tin did another amazing performance. She handled those emotions very well which are so much required from her character. Another best actress chance for her this year after winning it last year for her ‘Yiu Man-ying’ role in ‘Brother’s Keeper’. The only one I have to criticize is Lisa Lau, portraying as Gillian in the series. It is quite a heavy role and it is given to a totally new artist. That’s a superbly wrong decision. I prefer Vivien Yeo (the one portraying as Icy) to take on Gillian’s role whom is Ron’s girlfriend and later wife in the series. Lisa’s acting isn’t really that bad but her weirdly-proportioned face just make everyone simply hate her existence. Sorry for being too harsh but I couldn’t prevent myself from saying this. On the other hand, the other casts did great especially Louis Cheung as Marco. He is a talented actor and I guess he will win at least Most Improved Male Artiste in TVB Anniversary Awards end of this year looking from his solid and outstanding performance in this major supporting role. He can even be a strong challenger in Best Supporting Actor category too. Leanne Li also improved a lot in this series. The background musical score also aided a lot on building up climax or intensity for most of the scenes. I had just finished its finale episode just now and I am impressed. The finale concluded this fantastic series very well. I like how they have Roger’s character still would not turn over a new leaf over what he had done and chose to be in prison longer just to get forgiveness from Krystal. That’s wicked cool. The series also taught us not to do anything bad even if it is in name of our loved ones or for our own’s advantage. However, there are still some plot-holes like what is the fate of Marco and Gillian in the end, but for me, that’s not important anymore. Hmm…I would love to give this series 8.1 out of 10. But once ‘Gillian’ came into my mind, I have no choice but to deduct 0.2 point. So, my final rating to ‘Black Heart White Soul’ is 7.9. 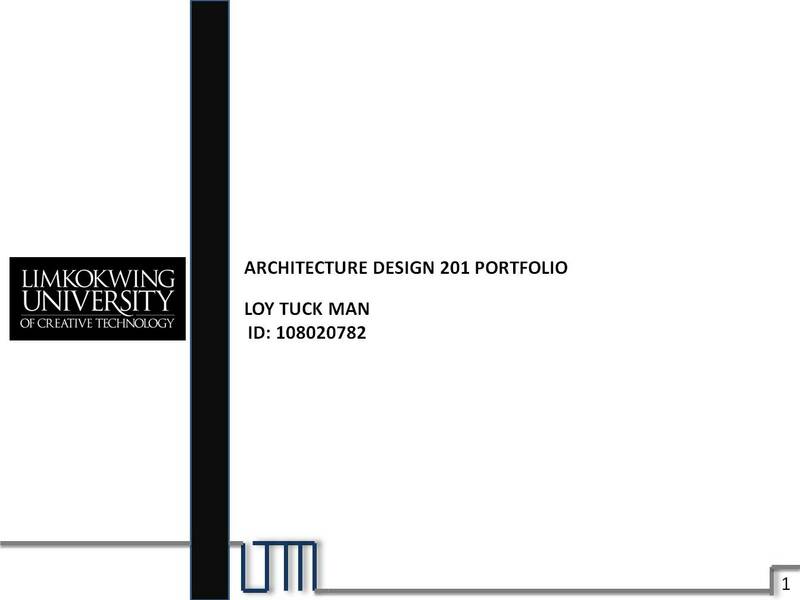 From A to A- now but still a very high marks from me. This is really a good and a remarkably intelligent series. So far the best series this year. 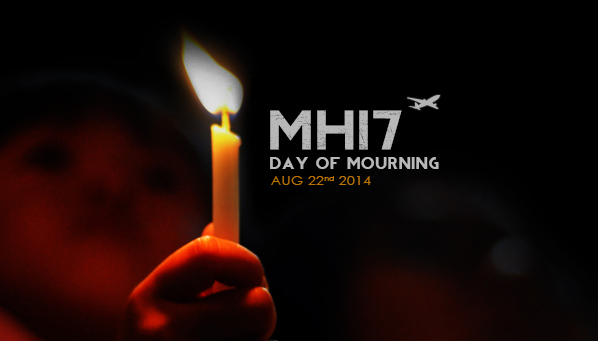 National day of mourning tomorrow for MH17. Tomorrow, 22nd August 2014, has been declared as Malaysia’s national day of mourning for the MH17 plane that was brought down on 17th July 2014 which killed all 298 people on board. 43 of the deceased are Malaysians. A special flight carrying twenty identified remains of the Malaysians will touch down at Kuala Lumpur International Airport tomorrow morning from Amsterdam. More remains will be brought down to Malaysia on the following days. A dignified reception will be conducted for the return of the Malaysian remains. The country will also observe a minute of silence as a show of respect to the victims of this tragedy while national flags will be again flown at half mast tomorrow. Eventhough tomorrow is not declared as a public holiday, but let us take a short time off from your work or anything and extend our heartfelt prayers to the victims of MH17. It’s not going to be a happy Friday tomorrow, but let us make tomorrow a united Friday for all Malaysians to pay our last respect. Can we? The official outcome of the investigation into the tragedy is still pending eventhough the plane’s black boxes had been recovered and sent for analysis earlier. I have to stress again that whoever found responsible of bringing down the ill-fated plane should be responsible and be taken to justice no matter what. But at least, I believe this case will be brought into a conclusion soon, unlike the MH370 incident, another aviation disaster early this year for Malaysia Airlines. The plane vanished on March 8th, 2014 and till now, no trace or anything of the plane is found. Really weird and unbelievable. Hoping that everything will be resolved very soon for both MH370 and MH17. The annual Independence Day celebration is near (will fall on 31st August). This year’s national celebration for the Independence Day will be toned down as a mark of respect too. No government-organized countdown events or fireworks this year. Expect a much quieter night on the Merdeka’s eve. However, the National Day Parade is still on, as we still need something to mark our country’s 57th anniversary of independence that we first gained on 1957. 57-57. Very meaningful indeed. The spirit of patriotism shouldn’t fades away, and let us take these as a testament for us to stay strong and united for Malaysia. Last but not least, I would like to take this opportunity to extend my deepest condolences again to the family and friends of the victims on board MH17 flight. 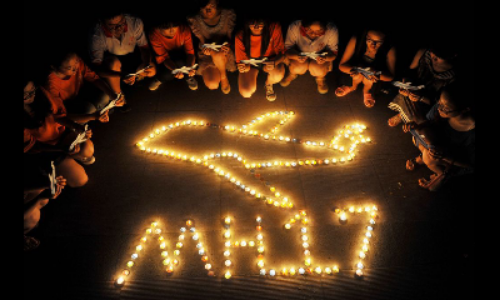 My thoughts and prayers for MH17.